The UK workplace market has seen a quiet revolution in the past decade with not just one transformative reform but four: the retail distribution review (RDR), the DWP Command Paper (Better workplace pensions: putting savers' interests first), Pension freedoms —with these all underpinned by the introduction of auto-enrolment back in October 2012. Other shifts have fuelled the market including the move to defined contribution (DC) from defined benefit (DB) and more focus on financial well-being. Indeed, consulting firm Cerulli Associates believes that the UK will become Europe’s first €1 trillion DC market by 2021. With that big number comes a big opportunity for the adviser and financial planning markets. 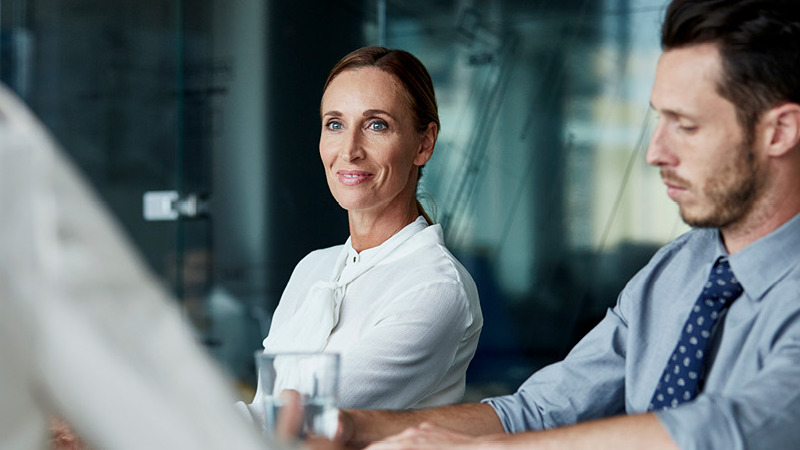 Employees have more choice and freedom than ever before, but as Aegon and the Centre for Economics and Business Research Financial Wellbeing in the Workplace research suggests, employees still need help navigating through financial long term planning. They need support and advice throughout the key points in their lives - starting work, changing jobs, at retirement (whatever this might mean in the future), when they start to draw benefits and finally when they pass on their pension pot to future generations. They need help with volatility management, inflation proofing and sustainability of income – essentially, lifetime financial planning. Employees can range from those who may just need guidance from the provider, to high net worth individuals with more complex needs. Top earners will require your support through both initial and ongoing advice. Employers face many challenges. Auto-enrolment has been a huge cost for them, but despite the resources and money spent, many employees are disengaged when it comes to pensions and benefits. Our pension engagement research, in partnership with the Confederation of British Industry (CBI), shows that more than half of employers see the potential value they could unlock with better employee engagement with pensions, but just over 10% are happy with current levels of employee engagement. Employers are concerned about the impact of financial wellbeing in the workplace, not to mention attracting, retaining and motivating talent, managing succession and easing individuals into retirement. Getting the right workplace solution in place can make a huge difference. Most employers want all their staff to be covered with one overall plan and the support now available from providers such as Aegon gives advisers and planners the ability to offer a ‘one stop shop’ to clients. It doesn’t matter if you’re already serving the corporate market or new to these opportunities. The auto-enrolment induced headache that employers have to confront, and the pension freedoms complexity employees are facing, present an unrivalled opportunity to grow your business and make a difference to thousands of people. The best providers offer a platform that enables people to manage wider savings than just pensions. It should support your investment solutions and yet be flexible enough to accommodate career changes throughout an individual’s lifetime. The best providers also have an extensive suite of employee engagement material (delivered physically and digitally) that you can make use of. Providers need to be adept at helping you with scheme governance and they need to offer guidance support for the majority of the workforce. This can be online or over the phone – a service that helps to educate and explain the pension arrangements to employees – so that the employer and you don’t have to do it. So, make sure your chosen partner ticks off these four boxes - flexible platform, quality engagement material, actionable governance reports and a supporting guidance service. As an adviser or planner, you’ll become the facilitator of this service: offering a ‘one stop shop’ so the employer doesn’t need to deal with multiple relationships. Today’s workplace market is far more than just about changing providers and installing a new scheme. There must be a long-term commitment to deliver an ongoing service to a corporate client and their employees to ensure real value is maximised. An adviser or planner, with our help, can make a huge difference to employers who have so much more work to do, with often bigger benefits spend but way less support. There will never be a better opportunity for you to provide ongoing solutions that the corporate clients need and value. And the good news is you can access the high net individuals with complex needs who really need your skills and expertise, without doing the heavy lifting.